In our last blog posts we offered a few good tips for helping you with your potted houseplants. In this post we are going to give you a few more because we have so many we want to share that they won't fit in just one post. So, here are some pot tips to help with your potted houseplants. Cat Proof Your Indoor Potted Plants! Not again! 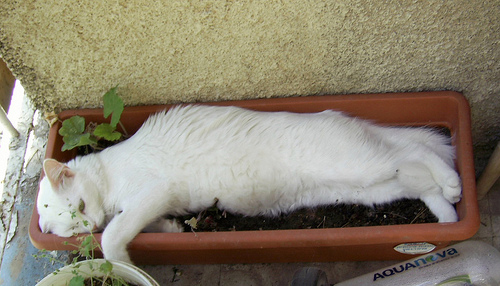 Despite your frequent scolding, your cat love to go into your indoor potted houseplants. Keep them from using your favorite ficus as a little box by placing pieces of broken pottery over the dirt. You can also top the soil with marbles, colored rocks or any kind of item you cat won't want to touch. 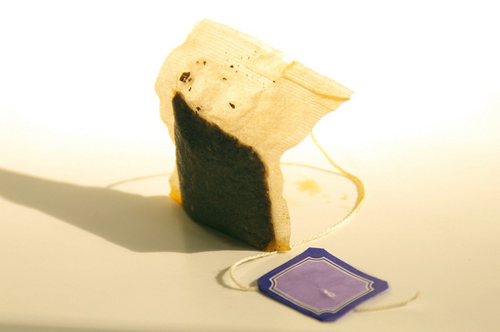 Before you pot up a plant for your house, try placing tea bags over the drain hole of the planter. They will retain the water and keep your potted plant healthy and full of life with the antioxidants. Did you know that hanging flowerpots dry out faster than one that sit on the ground. This is because of the wind swirling around them. All hanging planters should be watered daily in order to keep the flowers or plants healthy. 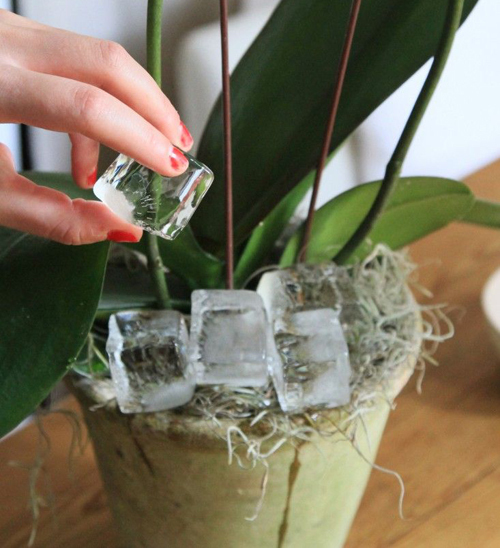 Use ice cubes on the top soil for a slow melt that lets the plants roots soak up the moisture over time. 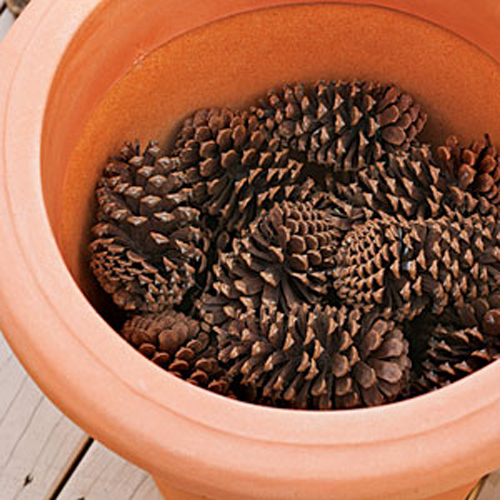 In the Fall Collect Pine Cones for Spring Planters! You say what? In the fall collect pine cones that fall on the ground. Next Spring before you plant in a garden planter, drop some in the bottom of the pot. Then add potting soil. The cones provide great drainage, help keep the soil from leaking out the drain hole and don't add extra weight like rocks would. 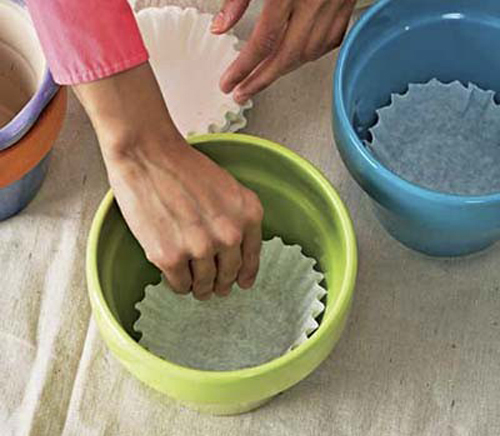 Coffee Filter to the Rescue! 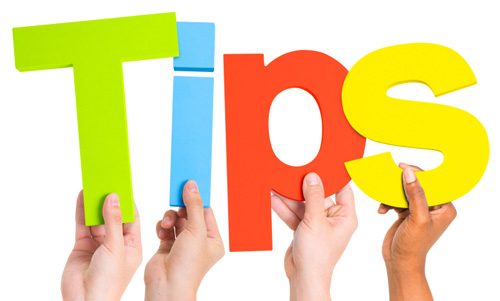 [Read More] Tips for creating a fairy pot. [Read More] Beautiful Planters Into Water Features.